Participants enjoyed a day of singing together and are going home with new music and ideas to implement in their small congregations. The second session of Faith and the Feminine was featured in an article in The Record. 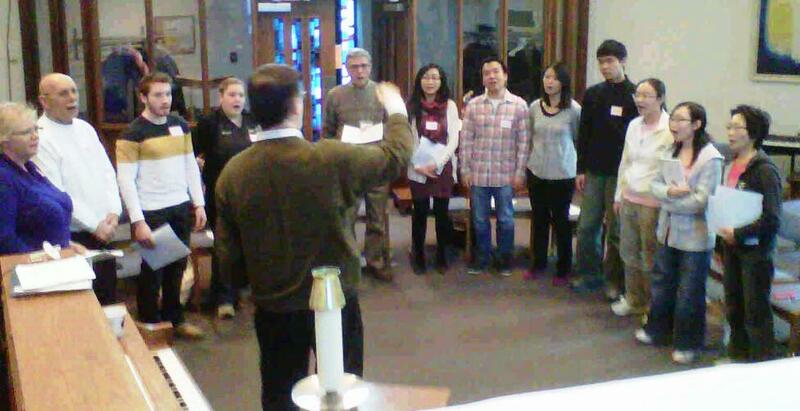 The second annual Rediscovering Liturgy will be held on Saturday November 3, 2012 at Christ Lutheran Church in Waterloo. The keynote addresses will feature an Anglican Lutheran dialogue, by The Rev'd Canon Dr. John Hill and Pastor James Brown, on the Eucharist: Gathering and Sending Rites and Eucharistic Praying by the Whole Community.